Can Nawaz survive the fourth-year itch? Prime Minister Nawaz Sharif’s rule experienced the fourth-year itch in 2017 – much like the year 2012 was to Zardari’s rule. The patience of political stakeholders is running out before the end of the incumbent government’s tenure in 2018. In both cases, the judicialisation of politics represented the centrepiece of the power game. The mobilisation of an extra-political resource to deal with political opponents in the form of a court case led to a clash of institutions in 2012 when former prime minister Gilani was dismissed even though he enjoyed the support of a majority in the National Assembly. 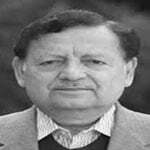 In the context of the recent verdict of the Panama case, the post- Iftikhar Chaudhry court has narrowly shied away from following the 2012 model, thus avoiding the grim prospects of destabilising the system. However, the inconclusive nature of this verdict is a recipe for further confusion. The political stakeholders continue to prejudge the final outcome of the court case through the street and the media. How far can the agenda-setting exercise of the political opposition out of the court shape opinion inside the court? In this context, one finds the ISPR tweet quite intriguing. It said that it would “accept” the verdict and “hoped” to see a verdict based on justice. It is very difficult to speculate what would have been an alternative to ‘acceptance’ and whether it was a matter of hope or actual faith in the supreme duty of the apex court to deliver justice. The downward curve of civil-military relations was further exposed by the order of the PM’s Office about the Dawn leaks, which was ‘rejected’ by the ISPR in a tweet on April 29. This immediately led to a potential crisis of trust between the government and army that took more than a week to get resolved. Was it again a matter whereby civilian supremacy over the armed forces was blown away, as analysed by the media? Was going public with the ISPR tweet part of teaching a lesson to the civilians? Or was it indeed a security breach as claimed by the relevant quarters? The two sides took time in realising that both had got a beating and the situation could get out of hand. On Wednesday, the ISPR withdrew the tweet and ‘acknowledged’ that final authority lay with the prime minister. Meanwhile, Nawaz Sharif’s meeting with the visitor from India, Jindal, created a hype of negative propaganda against him through the electronic media. Various defence analysts loudly condemned the prime minister for conspiring to make a secret deal with India. The PTI suddenly raised the political temperature to a new height by questioning Nawaz Sharif’s patriotism. The party (PTI) adopted a two-pronged strategy: creating a wedge between the civil and military wings of the state by calling Nawaz Sharif an enemy of the armed forces, and declaring him a traitor to the nation. This is gutter politics. The PTI’s latest foray into the politics of hatred via the reckless use of an abusive tongue stands in contrast to its initial promise of a bright future for the nation in 2011. Does it show that the party’s desperation has now risen sky-high? PTI spokespersons are spreading their hate message against the PM via TV. Certain channels are more obliging than others in allowing the use of a pernicious idiom. Gone are the days of parliamentary language, respect for a majority view and acceptance of a minority position in the national legislature. The days of producing alternative position papers on economic, administrative and foreign policy issues and addressing the treasury and opposition benches across the divide with honorific titles appear to be over. Gutter politics is the most tragic recent development. Has the PPP leadership opted to become part of this kind of politics, even after being a victim of it through allegations of treachery and deceit for two generations? The PPP is caught in the trap of utter cluelessness about its future prospects in Punjab. Not surprisingly, it has opted for the default option: joining what it hopes to become a bandwagon against Nawaz Sharif. The PPP perceives itself to be more sinned against than sinning vis-a-vis the PML-N government. Was it then a lapse of judgement on the part of the PML-N leadership about the PPP being its ultimate ally for continuation of the democratic setup? Did it push the PPP to the wall on scores of issues – such as the case of Dr Asim Hussain, the Rangers’ expansive role in Sindh, gas supply, disappearance of Zardari’s aides, public criticism of the new Sindh chief minister, the appointment and transfer of higher bureaucracy and the delayed payment of the provincial share in the divisible pool? Should the PML-N have allowed space for the PPP in Punjab? Has the PPP been any wiser by following the PTI’s negative campaign against the government? The filthy discourse about the prime minister being the enemy of the military and the country is unlikely to turn the voters away from him in the next election. Nor is it likely to convince the judiciary. The debased jargon about elected representatives being traitors belongs to a gory past more than half a century ago. Lowly and depressing as it is, it must be avoided by the political class in order to keep the system going. The keyword is political stability. During the 1990s, the killer clause Article 58(2)(b) had created political instability. Similarly, Muslim countries, ranging from Afghanistan, Iraq, Syria and Yemen to Libya, represent a frenzied pattern of politics. In comparison to its own past – and with the current crises in the Muslim world – contemporary Pakistan has some measure of political stability. The federal government is legitimately concerned about lowering the temperature of regional politics involving India and now Afghanistan – before and after the skirmishes along the Chaman border – as well as Iran – which showed its annoyance about a terrorist organisation that is allegedly operating from Pakistan. But the fourth-year itch is biting into the system. Zardari was finally able to survive the ‘itch’. Will Nawaz Sharif manage to do the same while facing the same charges through the same institution? Can the stakeholders take the risk of de-institutionalising politics? The centre-stage of the power play should be parliament and not the streets or the court. The current practice of keeping civil-military relations on tenterhooks at all times cuts both ways. Can the latest descent into issuing condemnatory edicts about the patriotism of fellow politicians lead to a process of major de-alignment prior to the elections for the PTI to win a credible number of seats? One is doubtful. Elite groups around the world shudder at the idea of arbitrarily creating political instability in their respective countries. Unfortunately, elite groups in Pakistan are far less imaginative insofar as they are pitched against one another for a fight to the finish. The media operates as a breeding house of conflict and controversy and makes politics a boiling cauldron of hatred. It should rather assume the role of a consensus-builder. Politics is the art of the possible, an exercise in bargaining, a lesson in pragmatism and a commitment to avoid the grim prospects of rocking the boat. The inflammable ambition for power must not undermine the system itself.